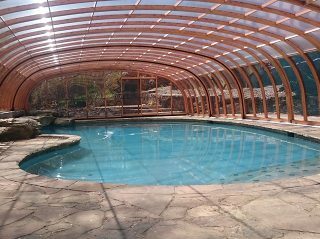 Every house, patio and pool will usually have a similar size and shape that would be ideal for a high-quality enclosure. 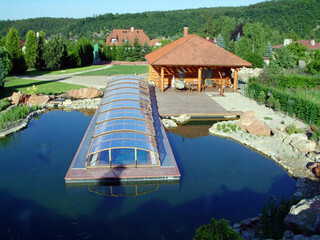 Pool and pool enclosure permits vary based on individual towns. Each town has their own by-law related to swimming pool fencing and has a different process for which to apply for one. 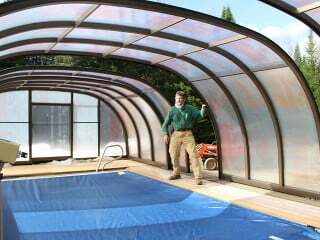 In general, pool and pool enclosure permits are easy to apply for. A Sunroom and Patio Enclosure both allow you to enjoy beautiful sunny days and frigid winter nights in the comfort of a cozy climate-controlled room. However, is there a difference between the two? Your pool is an investment, one that can and should be protected. It’s important to choose the right kind of cover to suit your needs. 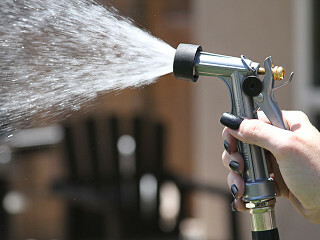 There are many types of different pool protectants to choose from. The two primary types are covers and enclosures. Swimming season is always considered as the summer. But what if we told you, it didn’t have to be limited like that? 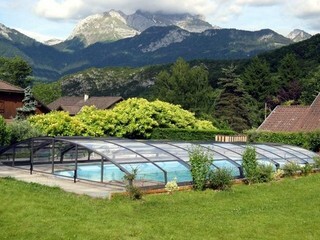 With our pool enclosures, you can transform your pool into a 365-day per year paradice. 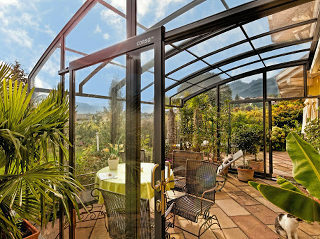 Sunrooms are glass-and-screen-enclosed living spaces added onto homes to create a unique space. With the abundant amount of light they let in, sunrooms add beauty, value, and space to your home. Your patio is the perfect place to mix outdoor fun with indoor comfort. How to Enclose My Pool? 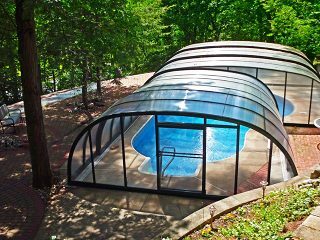 Are you interested in purchasing a pool enclosure but aren’t sure how to begin the process? Don’t worry, we are here to help! 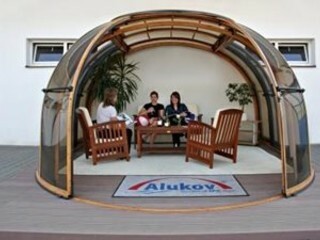 Do you have a patio that you want to use more than just the summer? 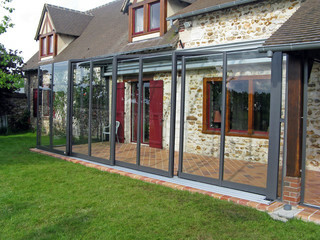 A patio enclosure is the perfect answer. 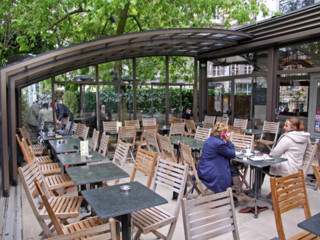 With our patio enclosures, you will have the ability to relax on your patio without worrying about the outside weather conditions. Does your patio look plain and boring? 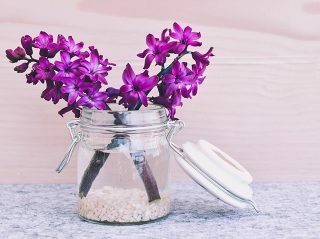 Try adding plants to revive your yard! If you have an enclosure over your patio and you’re looking for ways to make the space look more comfortable and welcoming, plants are the answer you were looking for. 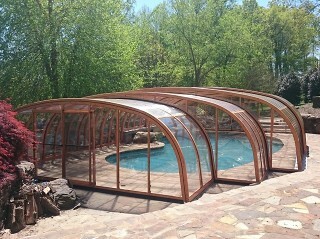 Low pool enclosures are perfect for customers who want to enjoy the benefits of an enclosure but don’t want to install a high structure in their yard. 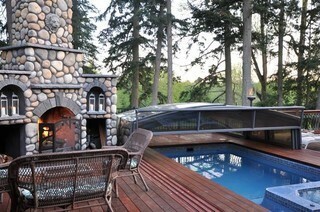 Looking for a way to host events by your pool in rain or shine? Before you know it, pool season will be here! While you’re staying warm under your pool enclosure this winter, now’s the time to start thinking about decorating so your pool so it’s ready for the summer. 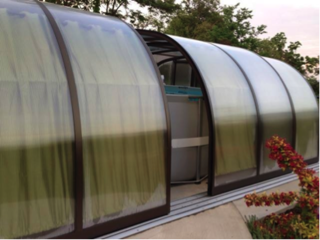 We’re always saying that the best time to get a pool enclosure is NOW and with our customizable enclosures, and there is no wrong time to get an enclosure on your pool. Start the year off right with a concrete list of pool rules to keep you and your loved ones safe while enjoying your swimming pool. Congratulations! You’re the owner of a shiny, beautiful enclosure! 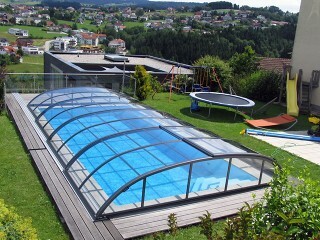 See Savings with a Pool Enclosure! Everyone loves saving money! 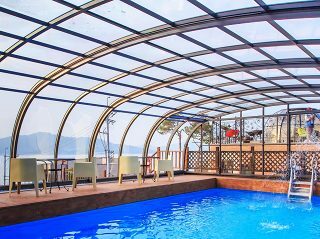 And with an Alukov high-quality pool enclosure, you get long term saving benefits by reducing heating, cleaning, chemical, and maintenance costs! 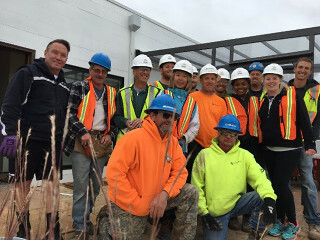 Last month we took part in the Solar Decathlon 2017 - a collegiate competition made up of 10 contests that challenge student teams to design and build full-size, solar-powered houses. Thanks to YOU for helping us win! Sometimes you win some and sometimes…you win Best of Class 2017 from PoolandSpa.com! Winter is coming! That doesn’t mean that swim season is over, though. 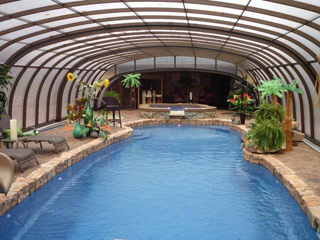 With one of our high-quality, insulating pool enclosures, you can keep swimming no matter how cold it gets outside. 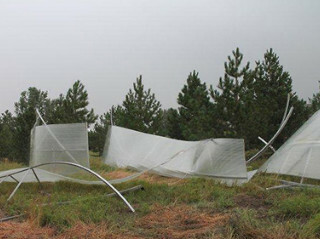 Windy weather is no one’s favorite. It ruins hairstyles, makes your eyes water, and can even damage power lines and knock down trees! These five hacks, especially combined with a pool enclosure, will keep your pool sparkling for pennies on the dollar. Home improvement projects such as building and enclosed patio can be so thrilling but also quite daunting. Let us help you know where to start! We’ve laid out the steps you need to get your home ready for an enclosed sunroom or patio. 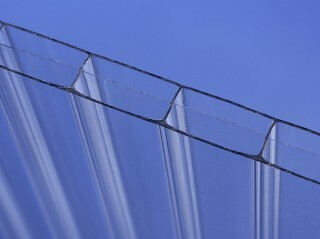 Polycarbonate Panels vs. Glass - What’s the difference? If you’ve scanned our website or Facebook or Instagram or talked to one of our representatives, you know that we love talking about how great our polycarbonate panels are. 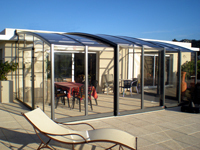 We use polycarbonate instead of glass for our enclosures because the benefits go on and on! While swimming pools are one of the most fun things on this planet, they do come with their potential risks. We’re not just talking about lobster-hued sunburns and swimmers’ ear. There is nothing more important than keeping your loved ones safe. We’re here to help keep your babies – human and fur-babies! – splish-splashing in safety all year long. 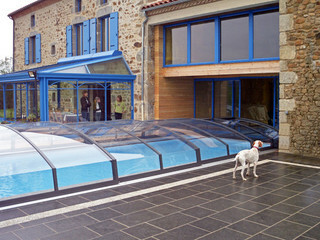 What can one of our polycarbonate, retractable and lockable pool enclosures do for you? I’m glad you asked! Let’s talk benefits! I hate to be the bearer of bad news, but summer is coming to a close. Before you know it, autumn will be here in all its glory. 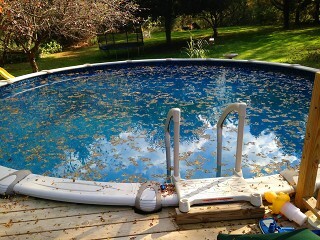 Soon it will be time for Halloween candy, pumpkin spice everything, red and yellow leaves, and swimming. That is not a typo! 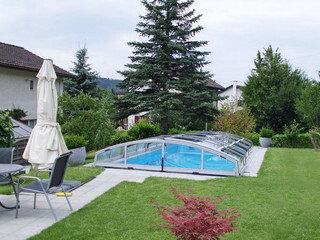 With a pool enclosure, you can enjoy your swimming pool long after the long summer days are over! WHICH ENCLOSURE SIZE IS RIGHT FOR ME? 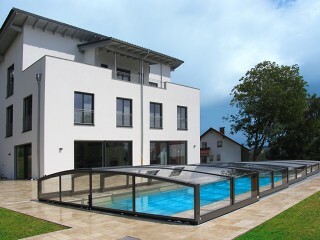 Choosing any permanent structure to add to your yard is big deal and pool enclosures are no exception! Is it going to get in the way? Will I be able to walk underneath it? Will it block my view of my beautiful flower beds? There are so many things to consider, but don’t you worry. We’re here to go over our three custom enclosure sizes with you and help you choose the perfect enclosure for your outdoor space. 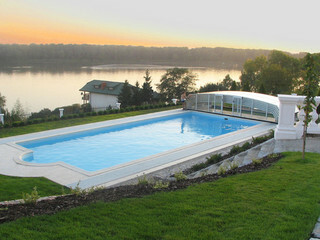 Our pool enclosures give our customers the best experience for a year-round pool season. And when our customers want a compact pool with the world's best counter-current for in-place swimming, they install an Endless Pool® swimming machine under our enclosure! Let’s face it: depending on where you live, typically you have invested in a swimming pool that you can only use three to four months out of the year. 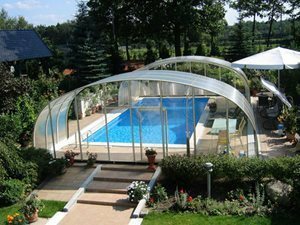 Instead of only using your swimming pool when Mother Nature allows, you can take control and prolong its use to a full twelve months with a custom pool enclosure. 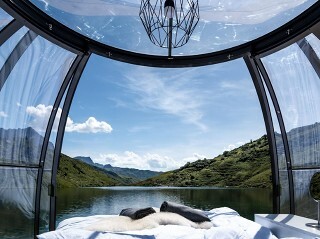 Hot tub gazebos vs. hot tub enclosures – what are the pros and cons of each and which one should you purchase? As a pool owner, you know that maintaining your pool can be a lot of work and cost a pretty penny. You can protect your pool with a simply cover every night to maintain its temperature and try and keep debris out, but dirt and leaves still get in as the wind can blow your cover off. 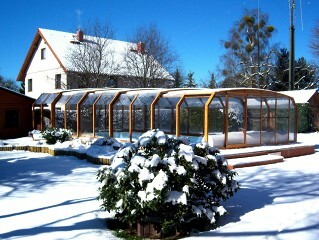 Sunrooms (sometimes known as patio enclosures) are great spaces for taking part in various activities. Did you know they could help improve users' moods? A swimming pool is one of the biggest backyard amenities homeowners invest in. 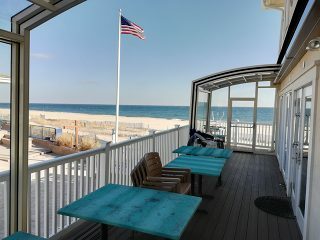 They serve as a place to exercise, entertain, and unwind with family and friends. 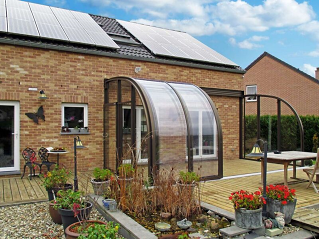 Insulated floors and roofs, sliding windows and doors with screens, and more – today’s sunrooms are much more advanced than sunrooms from the 70s and 80s. Every once in awhile something comes along that leaves an impression on us - something so wonderful that we can’t get enough of it and can’t imagine how we ever lived without it. Your pool is an investment – one investment that can and should be protected. 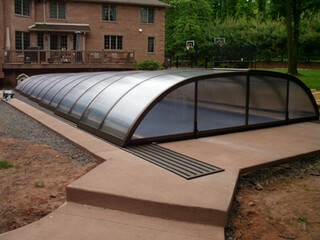 Which type of pool cover is for you? Would you not love to use your pool year-round? One minute you’re having a rough day at work, and the next minute you’re taking a dip in a warm pool with a drink in hand, despite there being snow on the ground. Having a pool can be an amazing thing! Just think of all the summer fun you’ve already had in it. By enclosing your pool, you can continue having your fun on days when the weather is less than desirable as the seasons change. Sometimes I just want to break out in song. 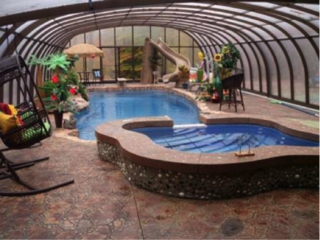 When I think of sunrooms and sunroom pool enclosures, I want to start singing “Let the Sunshine in.” That’s because sunrooms do exactly that – they let the sun shine in, and it’s a glorious thing. Ever wish you could swim in your pool year round? 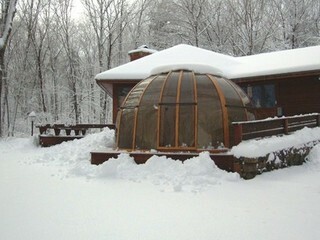 Want to relax in your luxurious hot tub in the middle of a snow fall? 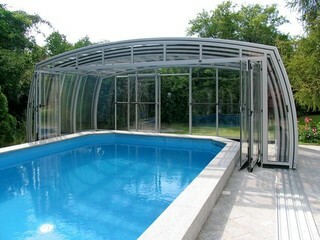 Make your day dreams into a reality with Pool & Spa Enclosures, LLC! 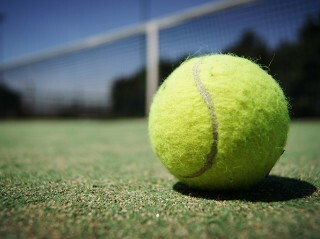 Even though summer is coming to a close, your outdoor fun doesn’t have to end yet! This fall, create your own outdoor getaway with these easy ideas for your backyard! If you have, or are interested in a Pool & Spa Enclosure, then you probably spend a great deal of time outside in your yard. 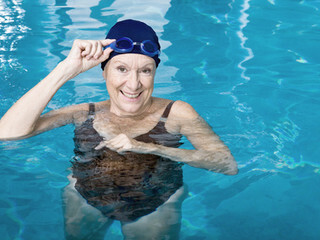 Swimming is a fun form of exercise that is good for the health of people of all ages and fitness levels. 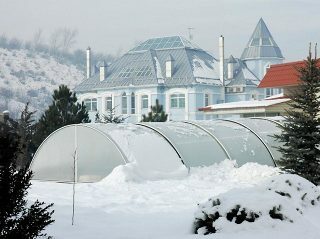 It can be done year-round with a swimming pool enclosure. 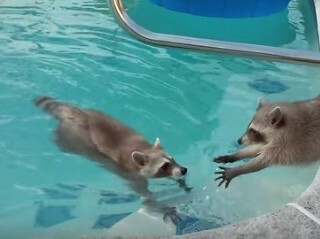 Swimming is a great thing to learn. It’s a valuable life skill to have, plus, it’s fun for people of all ages, especially kids. Getting your children involved in swimming at a young age is beneficial to their physical fitness and development, but safety should always come before fun and fitness. A well-designed patio, pool, or spa retractable enclosure paves the way for you to create your own personal paradise — a place you can visit to kick back and relax, and even strengthen your relationships.